Members of the ASEA Medical Professionals Board provide advice, guidance and their professional voice to our company and aid in our understanding of furthering the mission of ASEA based on their medical background and experience. Board members provide ongoing cutting-edge counsel to update and enhance the effectiveness of ASEA wellness products. We are proud to have the advice and guidance of the members listed below — all of whom are leaders in the field of medicine, health, and wellness. 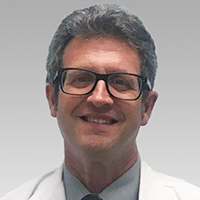 With a DPM from William M. Scholl College of Podiatric Medicine and post-graduate training at New York College of Podiatric Medicine, Dr. David Silverman now brings his expertise to ASEA’s Medical Professionals Board. He was a member of the American Podiatric Medical Association, Maryland Podiatric Medical Association, and American Academy of Podiatric Sports Medicine. 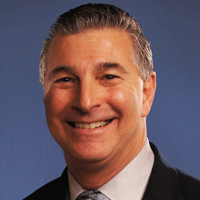 Dr. Silverman was also a diplomate of American College of Foot Surgery and American Board of Podiatric Orthopedics and Primary Podiatric Medicine as well as a fellow of the American College of Foot Surgeons and the American Foot and Ankle Orthopedics and Medicine. Dr. Richard G. Michal, M.D. Dr. Richard Michal graduated from the University of North Carolina at Chapel Hill with a B.S. in zoology. He received his M.D. from Duke University School of Medicine. He has been in private practice since 1983, when he founded Rocky Mount Family Medical Center, a 12-provider practice with a support staff of 60. Dr. Michal fosters a teaching environment at the medical center and has won several teaching awards during his career teaching medical students. Maureen Hayes, M.D., has been a medical doctor for more than 25 years. She is double board certified by the American Board of Anesthesiology in both general anesthesiology and pain management. She is also credentialed in Age Management Medicine through AMMEF and certified in acupuncture by the Helms Medical Institute. Dr. Hayes most recently served as an assistant professor in the Department of Anesthesiology at the University of Texas Medical Branch in Galveston, Texas. Prior experience includes serving as chief of the Department of Anesthesiology at Marlborough Hospital in Marlborough, Massachusetts, part of the University of Massachusetts system. She also served as a staff anesthesiologist at two hospitals in the Harvard University Health System in both Cambridge and Boston, Massachusetts. Dr. Hayes received her medical degree at the Medical University of South Carolina, Charleston, South Carolina. 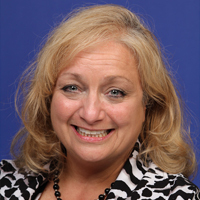 She is currently an active member of the AMMG, the AMA, and the ASA. She is also a highly sought-after speaker and lecturer. Dr. Foster R. Malmed, D.C., P.C. With over three decades of experience as a doctor of chiropractic and a certified applied kinesiologist, Dr. Malmed is the past director of chiropractic education at Comfortfit Labs Orthotics. He practiced for five and a half years in a New York Hospital, one of a select number of chiropractors in the country to have done so. His B.A. is from Syracuse University in New York, and his doctor of chiropractic degree is from Palmer College of Chiropractic in Davenport, Iowa. He has been a member of the American Chiropractic Association, the International Chiropractic Association, and the New York State Chiropractic Association. 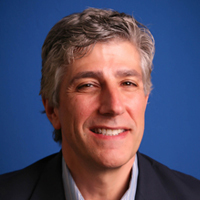 Dr. Malmed is a diplomate of the Chiropractic Board of Examiners, and he is now an integral part of a multi-disciplinary team of healthcare practitioners in a physical medicine, rehab, and wellness center. He is thrilled to be a member of the ASEA Medical Professionals Board so that much of his focus in the future will be helping to share the message of ASEA’s redox signaling technology. Jerry White has an extensive clinical background as a physical therapist as well as a background in research. 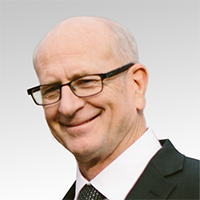 He founded Gait Orthopedic and Neurological Lab at Shriner’s Hospital and was an adjunct professor of biomechanics and physiology at EWU Physical Therapy School. Jerry’s personal vision and passion make his partnership with ASEA powerful. 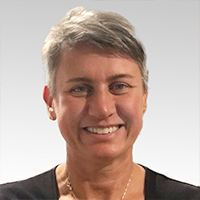 Sally Dymond has served as head licensed remedial massage therapist on Australian sports teams, a cruise ship, and with the Women’s Tennis Association (WTA) working with top-10 tennis players. Her skills in remedial massage, sports massage, acupuncture, bio-resonance, SCENAR therapy, key therapy, and remedial massage make her a highly sought-after therapist. Sally has diplomas in sports injuries and structural balancing and has nearly three decades of experience in the industry. She has owned and operated successful therapy clinics in both the United States and Australia.